Environmentally conscious travel is important. Here’s how to do it. Yacht charter holidays, as a vacation type, are significantly less damaging to the environment than most other holidays. Think about it: how much petrol do you use driving and flying from place to place, and how much electricity is being wasted on all those lights and electronics used by your hotel? On a yacht, it’s just you, the wind, and sometimes an ounce of petrol and electricity. However, there are still plenty of things sailors do that can be harmful to our environment. And there are plenty of ways you can combat this on your trip. Sailing holidays are great because they allow us to reconnect with nature and escape the daily grind. So, check out our top tips for an environmentally friendly sailing holiday, and preserve the beautiful ocean we all love. Do your research and respect the legal sailing routes and grounds of the area you’re in. Make sure you observe any nature reserves or areas that are off-limits to boats. This can be done by calling local water authorities, obtaining local area maps, and doing research online. This goes for when you’re on land, too. If you’re exploring a national park or local wildlife area, keep to the designated paths and be aware of your surroundings. 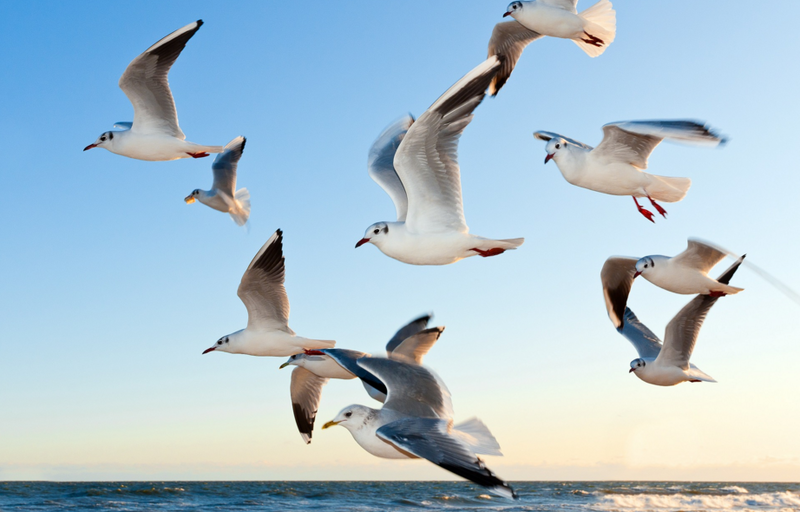 Always pay attention to the resting and breeding places of birds and marine life. You should not travel through overgrown reeds and riverside areas. Also avoid shallow water, as this is often used by fish as a spawning area. Research which local species you should be looking out for and their known areas. And, if you want to take it one step further, volunteer for local conservationist groups like Jase and Jolene from our last blogger interview. 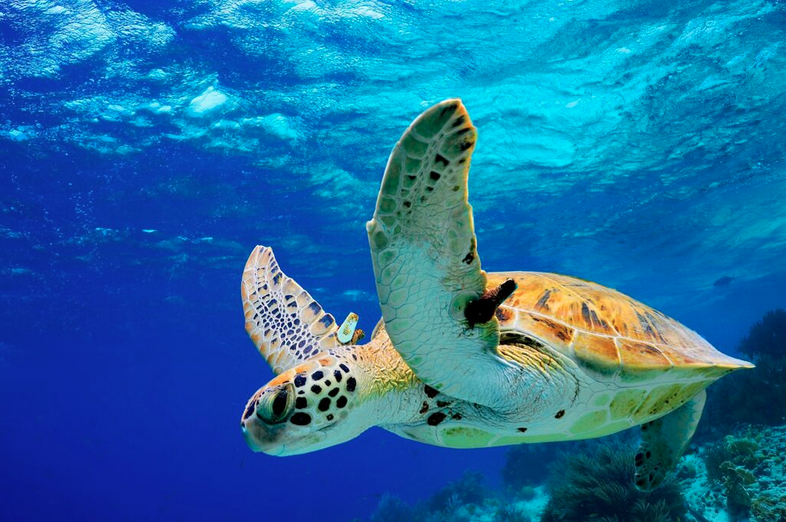 Being environmentally conscious is important when it comes to wildlife attractions, such as whale watching and rare turtle breeding grounds. The thought of seeing hatching turtles may be exciting, but the tourists who visit each year do serious damage to the turtles’ local habitat. If you see wild animals while you’re travelling, don’t attempt to get too close. If you’re trying to capture the perfect photo, for example, be aware of the damage you’re doing and the stress you might be causing the animal in the process. As a general rule, give wildlife a distance of at least 300 to 500 metres. 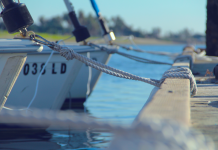 Although sailing is considered a clean activity, there are a number of ways you could be unintentionally polluting the water. When you’re refuelling at the marina, take care not to spill any petrol into the sea and never overfill the tank to avoid overspill while sailing. Also, one of the most important parts of water pollution prevention on a boat is discharging untreated sewage. It’s illegal — not to mention downright gross — to dump untreated sewage within three miles of the shore. Also be aware of any no-discharge zones that don’t allow even treated sewage to be released. Many marinas have disposable facilities available where you can simultaneously fill your water tank. Using green or eco-friendly cleaning products is important. You don’t want to be the one emitting damaging chemicals and toxins into our beautiful waterways. Eco-safe cleaning products are phosphate-free and made of organic, biodegradable soap products. 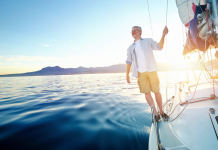 Some of our favourite products are: West Marine Pure Oceans Crystal Boat Soap, Spray Nine All-Purpose Cleaner, and Simple Green Marine All-Purpose Boat Cleaner. You want to look for products that are non-toxic, biodegradable, and EPA-certified. We accumulate a lot of waste while on a sailing holiday. Be cautious with your trash so that none of it ends up in the sea. Once you’re back at the marina, dispose of your rubbish responsibly and always recycle whatever products you can, such as plastic and glass bottles, tins, jars and cardboard boxes. Also give the marina any discarded fluid, such as engine oil or dishwashing liquid, although the charter company will most likely take care of this for you after your check-out. Here at Zizoo, we’re in love with the sea. It provides us with all that open space for recreational sailing fun each year, and boy is it beautiful. So please, help us take care of it! Ready to start planning this year’s sailing holiday? We’re running massive discounts on yacht charters this summer, so head to the website now and start saving!